Sometimes the best recipes come from simply experimenting. That is how I came up with this recipe for my Ranch Oven Roasted Potatoes. The other day I was getting dinner ready and had some potatoes I needed to use up. I wasn't energetic enough to make mashed potatoes, and I didn't have the starchy russet potatoes that are good for frying, so I went to my spice cabinet for inspiration. In the back of the cabinet I came across this packet of ranch salad dressing mix. I thought to myself "This has some potential" so I grabbed it and decided to take a chance. 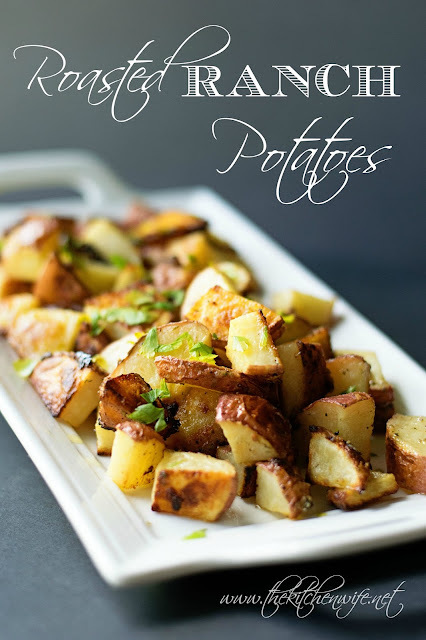 Let's just say that these Ranch Oven Roasted Potatoes have since made a few appearances on my table and I can't wait to share with you how easy they are to make! Place a foil lined baking sheet in the oven while it is preheating. In a mixing bowl combine the potatoes, ranch mix, olive oil, and pepper. Remove the baking sheet from the oven and give it a little spritz of cooking spray. Pour the seasoned potatoes onto the hot baking sheet. You should hear a sizzle. This is a good thing. Place in the 400 degree oven for 30 minutes, being sure to stir about half way through. And there you have it! An easy as pie and delicious potato recipe, that I KNOW you and anyone you serve it to is going to go WILD for. And the next time you are in a potato slump, head to the spice cabinet for inspiration. Never be afraid to take chances in the kitchen. 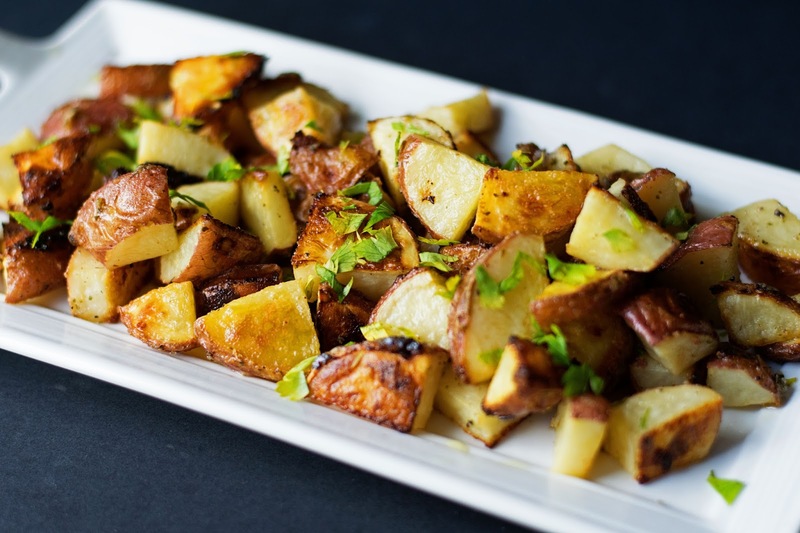 Ranch Oven Roasted Potatoes are worth it! In a mixing bowl, combine the potatoes, ranch packet, olive oil, and pepper. Place back into the oven and cook for 30 minutes, stirring at the 15 minute point.